There seems to be much confusion on how to post comments here. At the bottom of each post is a batch of widgets that can magically transport you somewhere. One of them (the next to the last) is Comments. Clicking on that will allow you to begin a forum mode of conversation on the post as well as with other Veterans. No censorship of thought is permitted unless you’re selling Viagra from India. If you wish to email me privately to discuss something, please use my email at asknod@gmail.com. I try to get back to you as soon as I see it. I get many requests for help. It’s a do it yourself learning site. Please make an effort to find a solution to your problem in the library of subjects. If you can find no subject that addresses your individual problem, I promise I won’t insult you. Every one of you deserves what you seek for the most part. The reason I know this is that there cannot be 85% of all Veterans looking for a handout or a freebie. If you file, it is assumed you are telling the truth. I trust you even if the VA doesn’t. 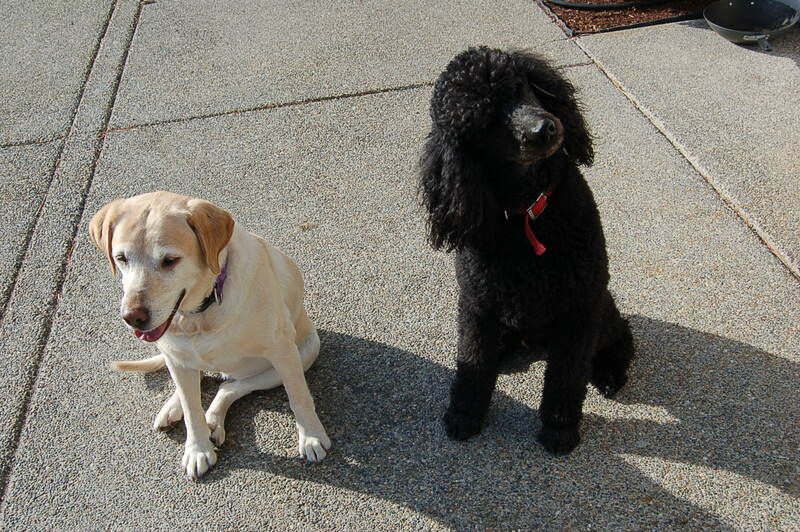 If you come over to visit, my two dogs will trust you, too. Looking for any information on the chemical MALATHION and any previous cases making a claim regarding exposure to it. Thank you. Igive a dump about every TDIU Vet because they should change the rules to say if you’re TDIU , you’re done working. If you’re done working, you are totally disabled. Why does VA put you through a “test” to see if they can disqualify you from TDIU? I started to send this direct to you but decided to post here so that others can learn from my ignorance. Your book astutely points out that if you don’t bring it up to the BVA it can not be taken to CAVC. I am doing the NOD to BVA myself, but failing that will use an attorney, probably that guy you are always talking about whose name alludes me at the moment. So if at the end of my VA From 9 I put “A liberal reading of US Code Title 38 – Veterans Benefits mandates an Effective Date of” then if they rule against me but there is something in the Title 38 that I did not point to specifically the lawyer could bring it up because I listed all of Title 38 as an authority? If you would be so kind, no hurry. Would like practice looking up the copious rules, regulations, etc. they cut and paste. Plus reading over and over to see where one could hide stuff that needs to be rebutted. I know sounds foolish but I fill several hours a day re-reading CVAC, BVA Roche, you and others preparing for Appeal. Plus use info to help folks now and then. I volunteer at the local VA clinic 4 hours a week supposedly to help vets with https://www.myhealth.va.gov/mhv-portal, but check and see if they need help with VA matters on the side (quietly). Looking forward to your new e-book to add to my reading arsenal. the above two lines are examples of 1.5 pages of notes I have on your book! Yup, believe it or not most of them are “light red” in my browser, meaning I’ve read them and taken copious notes. The one that touched all the bases with me was Citation Nr: 1418367. I had a rating reduced where 20% was than less five old and 20% was 15 years (40% total), yet never got the benefit of 38 C.F.R. § 3.344(a) and (b). This is on a hernia, absent surgery how does a large ventral hernia improve (you have few any of them miraculously grow shut 🙂 Yet they don’t say it improved, they say the symptoms are no longer are compensable… What I am really trying to find is an SOC that resulted prior to a similar ruling. I’ve never even seen an SOC be waiting for 19 months and finally got a letter they have received my NOD and am I sure I want the traditional path especially with no VSO. I said, thanks just a favorable disposition or a SOC. Local congressman’s rep says another year for the SOC best case… I would just really like to see what a reduction SOC would look like; I hear they can be more than 30 pages. I have one from 2010. I got a 10% rating on Porphyria for monthly phlebotomies but they CUE’d and wrote it as DC 7815 (skin). I researched it and found DC 7704 had phlebotomies for 40%. I asked for it in my NOD. Yup. They gave me 40% for the phlebots. but took back the 10% for skin. I was in the VAMC for a year and driving the dilaudid canoe and missed my VA 9 after the SOC by about 35 days. So I filed CUE in 2012. VA ignored me until I called Bob in September 2014. A week later I had a SOC. I filed a Ex. Writ for everything and got 60% back to 94 with SMC S plus they restored the 10% for skin. I fought on for 100% on the porphyria and they still haven’t taken back the 60% for anemia.I think it was 27 pages long.I can redact it if I had to. Not sure this is the place for my request but will give it a shot. I am appealing an improper reduction of a service connected ventral hernia. I would really like to see a SOC for any service connected disability reduction, of course with all personal information etc deleted. Anybody willing? Also I’ve been reading BVA decisions Ad nauseam about reductions with some interesting findings for anyone interested. can you get hep-a from hep-c? Negative. Hep A is a food-borne virus and lasts about 7-10 days, and resolves. You get immunity from it as well. Hep C is an RNA virus and rarely causes any distress at infection. Most find out about it 30 years later. That’s the way it’s supposed to work. Too bad we have to teach Vets how to avoid the punji pits but somebody has to walk point for us. I filed my VAF 21A today to become a VA non attorney practitioner. I hear it takes a year which is par for the course with VA. Represent Vets I shall….yessssssssssssssssssssss. I just wanted to let you know that my story is a long one , I was given a severance temporary retirement package in the mid eighties for a supposedly seizure disorder when I accepted the severance package I was told by somebody that I was not able to file any further claims if I accepted the severance package from the Marine Corps. 25 years go by still suffering from various problems I went ahead and filed for tinnitus the seizure disorder and PTSD and after 7 months I won 70%…partly due to your website and Info on it. As always, I stand firm in the belief that were the shoe on the other foot, it would have been me writing you to thank you. Leave no one behind-ever. Just purchased your book…fantastic.. Thank you. As soon as the BVA appeal is done, I’ll be writing the new one and updating it with all the new changes. The book is still valid in its core precepts for winning. What a great site. At first I was having trouble finding the information I wanted. To stupid to notice the search box top right… (Hate to admit it I am a retied System Administrator.) I bought the book a while back but never closely checked out the website, my mistake! If you have not read the book get it, not only does it contain great information, it also puts a couple of nickles in the pocket of the guy doing all the work on this great website! Using the book I put in a claim and did not have to reopen it 3 times to get it approved, first whack! Get a grip ABC. The ebook costs $3.99, so I really doubt he’s going to get rich on that. As a matter of fact, $3.99 for the best advice around is a great deal. You need 0.3 ml of blood to be able to transmit HIV. On the other hand, to transmit Hep C you need 10 picoliters (that’s 10 trillions of a liter). 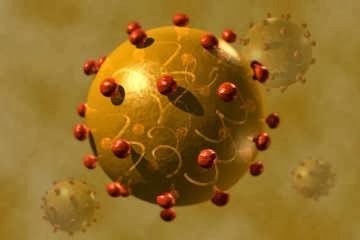 HIV is very unstable and dies as soon as it’s exposed to air. On the other hand Hep C can live even in dry blood for days. So yes, Hep C is stronger. Hi! I just passed by your blog for the first time. 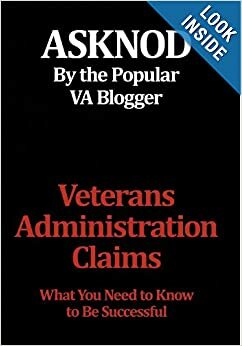 Do you think that it’s hypocritical to blast the VA, other organizations for their practices, and THEN write a book about navigating the VA system, obviously intended for disabled veterans, and make them pay for it? This question is rhetorical. The answer is yes, yes it is hypocritical to profit from advising disabled veterans. If your intentions were as strong as the childish sarcasm that you use in your claims, you wouldn’t even have considered doing this. People like yourself, that is, entitled and hypocritical veterans, disappoint me. You have a wonderful channel to communicate helpful information to veterans of all generations and do some good in this world, yet you use it as a avenue to simply complain and make one sided arguments, and lets not forget to market your book. Don’t bother responding to this, your not going to get a hold of me. I have already wasted five minutes of my life reading this thing, I won’t waste another second having a conversation with you. Wow it’s as easy as “ABC” to run into worthless whackos … And more likely than not, “ABC” is just another parasite who works for the VA, thriving off the backs of Veterans! Hello Mr Nod. I just finished reading your fantastic book. Your work is not what I expected and it made me look at the claims process from a different angle. The other ebooks seemed to be simple transcriptions of what’s already out there. I had my claim denied multiple times, and I know now that the free reps are not your best friends. I always suspected it but now I have assembled all the puzzle pieces and it’s clear that DIY is the only whay to go. Thank you. I have a some questions you might be able to help me with. I am a Chiropractor (voc rehab ) 20% for a lumbar back disability. I been sidelined from work for 5 years becouse of my back. Why in the world would they voc rehab me to become a Chiro with a severely bad back? I didn’t even know what a Chiro was! Anyway I’m preparing my claim from scratch. My father is a very respected neurologist and I never asked him for help or to write a buddy letter. Can my father or myself get involved in the evidence gathering as expert medical evidence? My father has also treated me for my unfortunate migraine atacks from the get go after I left the navy, which is when they started. Would this evidence be considered not credible? Please contact me at asknod@gmail.com, sir. Sorry have been passed up with all this techno stuff.Read article on this site 24 pages long regarding PTSD know it was written by a Marine Corps Major,and I beleive the cover was a Spider and Web. Look on the blogs by subject under PTSD down on the right below. If it’s on the site, that will lead you to it. HAY NOD MAN, EMAIL ME THE SIGN UP LINK FOR THIS SITE? CAN NOT FIND IT?